Last weekend, as part of a Spicy Horse team building adventure, we took the company to China’s equivalent of the Grand Canyon – Yellow Mountain. Also known as Mt. 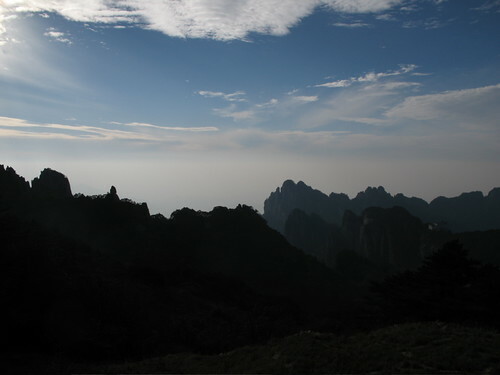 Huangshan, Yellow Mountain refers to an area of scenic mountains, rivers, waterfalls, and gorges in Anhui province. 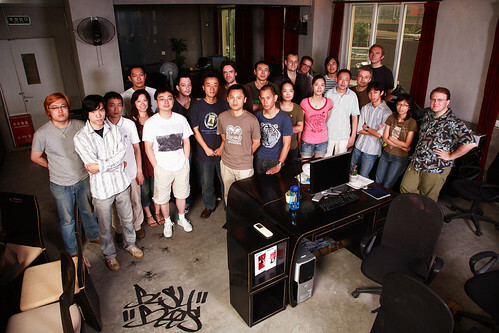 Our adventure began at the Spicy offices in Shanghai. 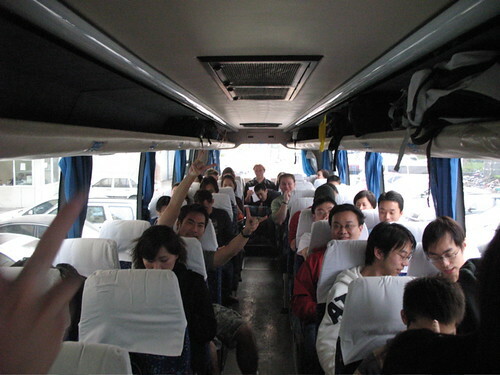 We arranged to have a big bus take us two hours south to Hangzhou for dinner, then on to Anhui and the base of the Yellow Mountain region. About 25 people from Spicy and another 10 from Red Rocket (our buddy Jung’s game company) loaded onto the bus at 4 in the afternoon. 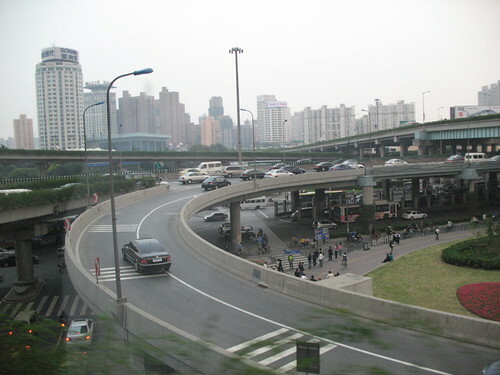 Shanghai rush hour traffic, here we come! After a yummy dinner in Hangzhou we drove 4 hours to Yellow Mountain. It was midnight when we arrived, the village was dead quiet and seemed deserted. This would be the last time for the next two days things would feel quiet and empty. 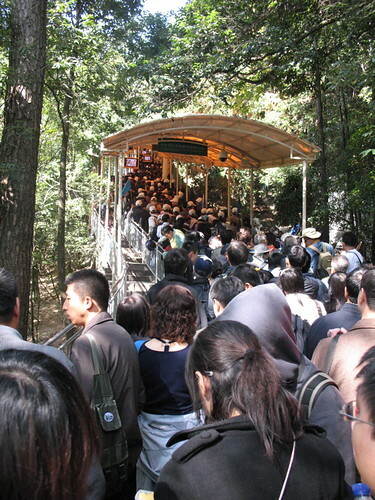 As it turns out, large numbers of Chinese people really like to visit Yellow Mountain. Really large numbers. 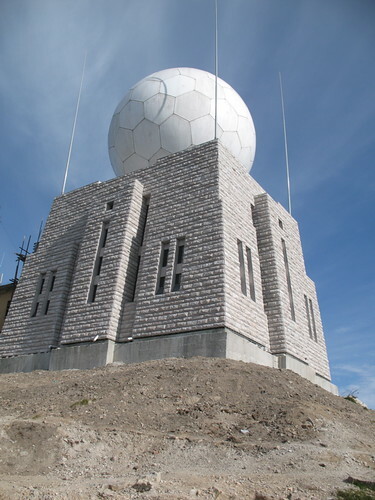 Upon arriving at the mountain we discovered that half of China had decided to take advantage of the nice weather and visit the mountain. Oops. Who knew mountains had waiting lines? Mountain conquered, we retired to a tranquil bamboo forest lodge. Dinner on the mountain costs more, tastes worse, and takes longer to arrive – but after a long day of hiking and starving, everything seems heavenly. Much Chinese white liquor was consumed, many toasts were made – and as usual I felt like the luckiest man alive. Life in China and time spent building a team – ultimately, the closest many of us have to family here – is sometimes more rewarding than words can express. 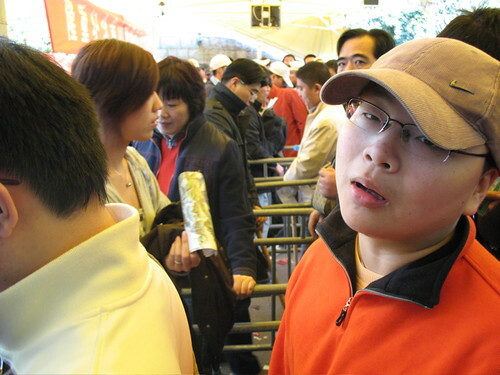 Sentiment and sleep passed, the next morning arrives in true China fashion – workers clanging metal against stone. 6am. Apparently stone in China deserves loud punishment – for what exactly, unknown. Anyway, sleep is overrated. More bus. A visit to where the beautiful “bamboo forest flying” scenes were shot in “Crouch Tiger, Hidden Dragon”. Moments reflecting by crystal blue waters. Then more bus. We stopped in a village called Hong Cun for lunch. 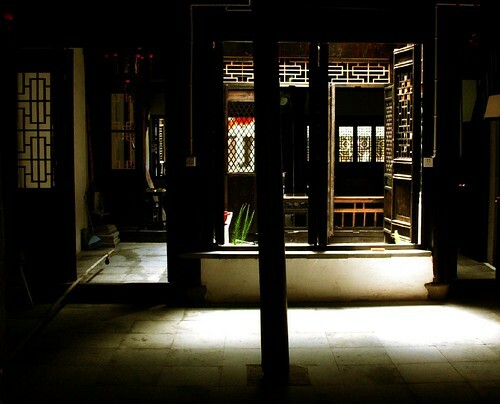 Stepping through homes built during the Qing dynasty – in 1646! – one is humbled by the history and longevity of Chinese culture. Where else do people make their lives in homes that are 360 years old? 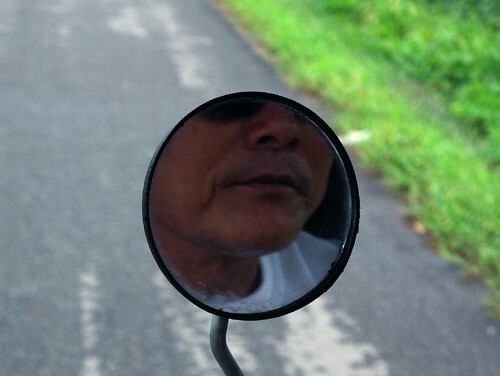 Riding back into Shanghai I realized something funny… what I once considered an overly chaotic and irrationally hurried city – something too big and brash to get close to – now feels warm, familiar, and comforting. It’s always good to come back home. Two weekends ago Spicy Horse Games picked up and moved to a new home. 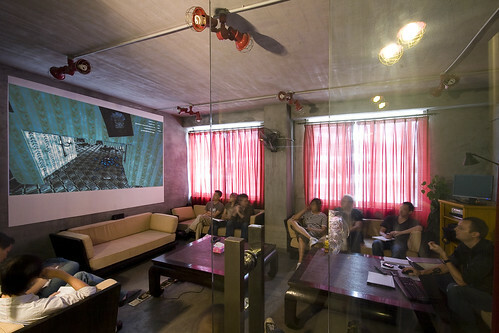 We had been sharing office space with game art outsourcing company Vykarian. But both companies have been growing too quickly, so we moved. We got lucky and were told of a cool space which had been occupied by a film/tv production company. The work they put into remodeling, wiring, and decorating meant the new space was basically plug&play. We couldn’t be happier. Click on the images to go to Flickr and see more. One personal embarrassment about the time I’ve spent in China is how little of China I’ve actually seen. Life in Shanghai is hectic and interesting enough – but what’s the point of being in a foreign country if you’re not going to see something of it? Granted, without a decent grasp on the language, solo travel inside of China is difficult at best. But hey, I’ve been here 9 months. I can say “take me to the goat station” and “I’d like a hotel fire”. I’m good to go! So this weekend I left Shanghai with some friends and headed to Xitang. This is a tranquil little water village about an hour from Shanghai by train. Leaving from the South Shanghai train station under blue skies we headed into the Chinese “countryside”. Amazingly, the further we were from the city, the dirtier the air. Seems outside of Shanghai people like to burn things. Lots of things. 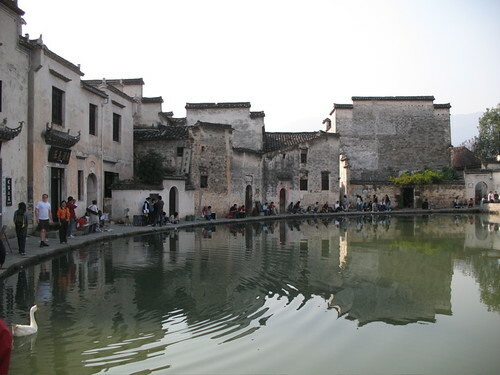 Xitang features Qing and Ming dynasty architecture in its bridges, roads, and homes. One road, known as “yi shi tian” (one thread sky) is indicative of village scenery away from the waterways – a narrow sliver is sky is seen running above a thousand year old stone paved alley. On the water, hand powered paddle boats ply the canals. Floating along the river my friends and I were nearly hypnotized to sleep by the simple quiet of it all. 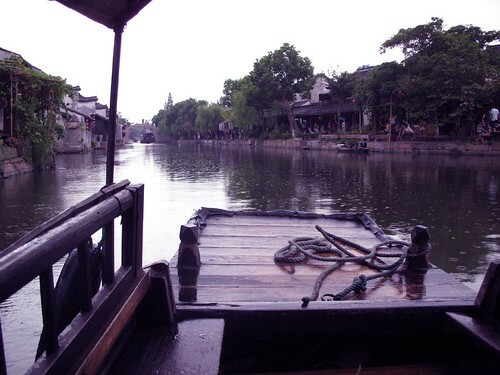 If you’re looking for a quick, fun getaway from Shanghai – Xitang is worth a visit. From the South Shanghai rail station take the train to Jiashan (9RMB). 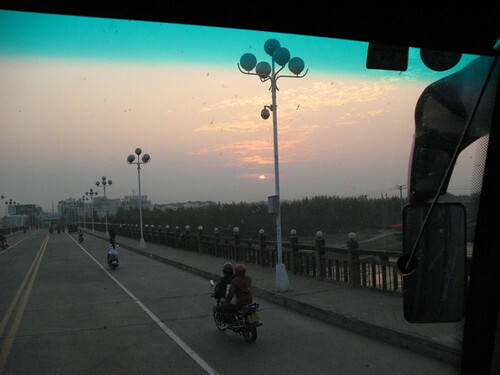 Upon arrival in Jiashan you’ll be accosted by a horde of taxi drivers wanting to take you to Xitang (30RMB). We made a day-trip out of our adventure, but the village contains numerous “hotels” – renovated homes and buildings, which look pretty cool. We returned by bus (30RMB), and were back in time for dinner. Wee!